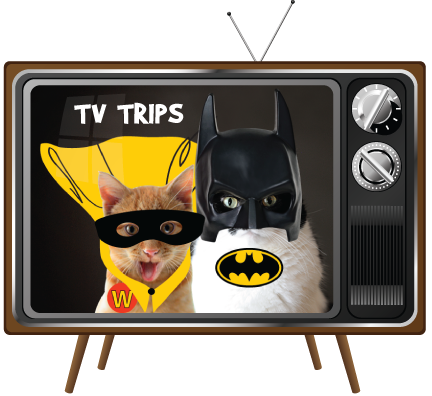 One of our favorite days of the week is Saturday, when we take a trip back in time to a classic TV show. Glogirly was a child of the 70's and TV night was a very big deal in her house. She didn't have brothers or sisters, so watching the Brady Bunch was extra fun. She used to dream of how cool it would be to have a big brother, a little sister... and long blonde hair. We loved the Brady Bunch. I am, however, saddened that you never got to put him up for sale. And would the woman please stop singing that darned song?! 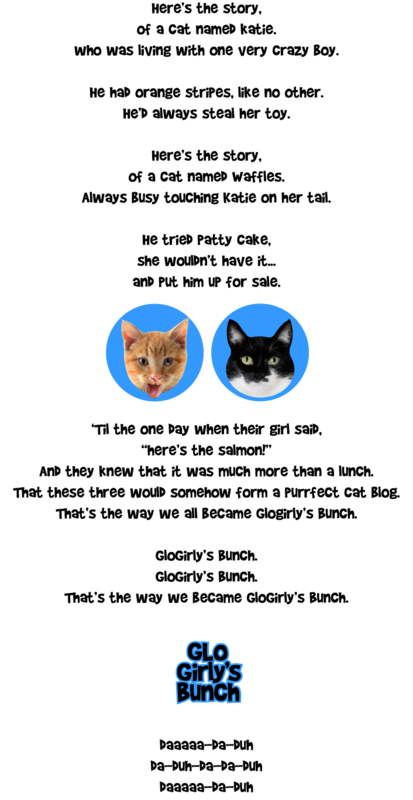 A purrfect cat blog for sure!!! We've been away and not blog hopping much but wanted to stop by to wish you Happy Caturday! See you soon in HOTlanta! 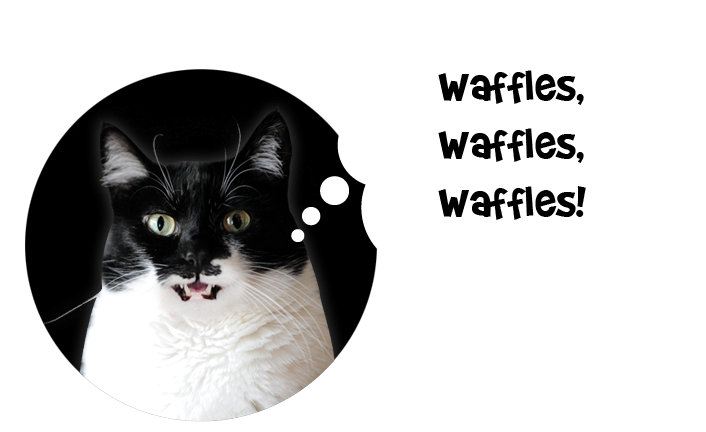 So...the ad for Waffles is up on Whiskerlist? Mommy is TOTALLY calling!!! Such an excellent parody of the tune this week...better than the original. Must be a hard life for you ! My human was wondering when you'd get around to this one! Glogirly's Bunch is much better than The Brady Brunch. Huh! Sack the typist! That should be Bunch of course not Brunch. A tribute to the amazing bonding powers of salmon and chicken! Very cute - nice job on the typography too, Glogirly. Waffles we hope you watch out when you touch Katie's tail or you might get a scratch on your nose. We LOVE it!!!! Waffles does more than just touch Katie's tail!!! Happy Caturday!!! That is too cute. Mommy loved that TV show when she was little but she thinks your version is better. We think this would make a great new series for tv! Mum says she was too old for being a Brady Bunch purrson. But we love the Glogirly bunch! Bwah ha ha!!! Good thing I wasn't drinking coffee. . . and yes, I had to sing the song. Love it! Love It!!! You should have put Glogirly's & Gloman's pictures in there...MOL..And Waffles..you don't touch a lady kitty's tail..that's what I keep telling the new little orange guy here but he's just a kid so he's plenty brave even though he gets a bop on the head sometimes from the ladys..mol..
Oh yeah..Miss Katie..please don't sell Waffles..he's awfully cute!! Oh you guys, TV used to be a lot more fun than it seems to be now, we had to laugh at this. Would you believe TW never watched that show? She was too busy being radical in those days. We’d prolly watch Glogirly’s Bunch though. What a fun and creative way to use the Brady Bunch theme song. It works perfectly! Very cute and could be a great followup to the other Brady Bunch. 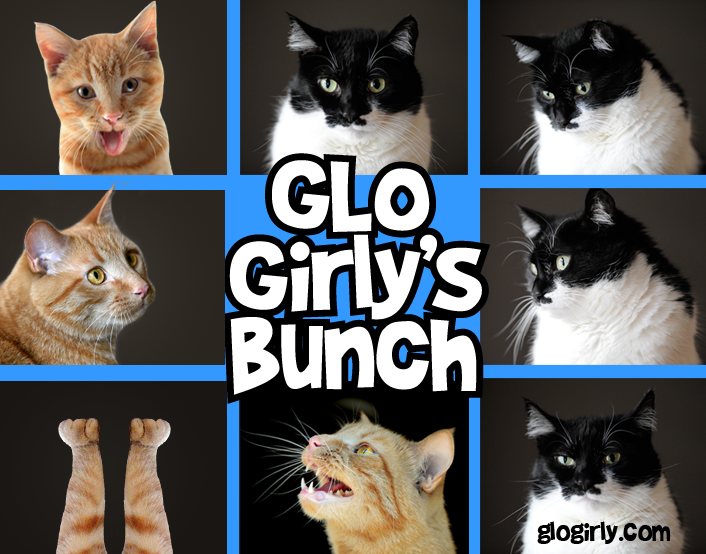 We need more cat shows, anyway and I couldn't think of a better cast..the Glorgirly Bunch!